After a hard, challenging year it was time for my last race of the season. 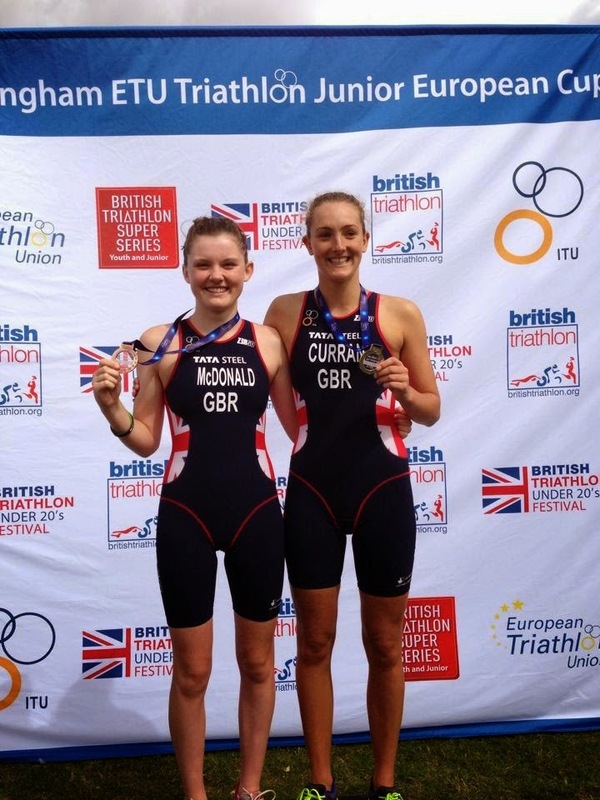 A European Cup Triathlon in Nottingham, not the most exotic and exciting location for a European race but it was nice to be in the home country. 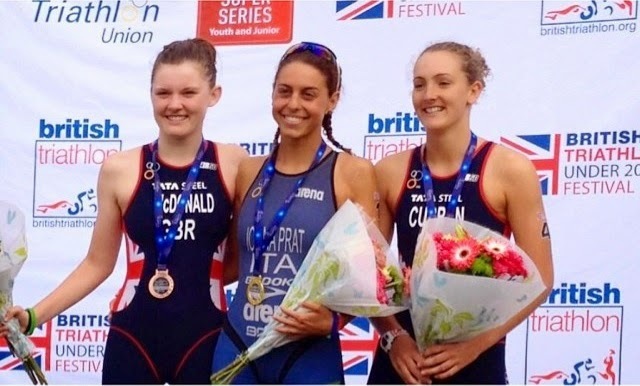 A great race in Liverpool, it put me in great spirit leading up to the event, but a week after I was in bed ill with a cold, just my luck I thought. After a day tucked up in bed and some easier training sessions it left me feeling much better, but still a day before the race I was coughing and still suffering with a blocked nose. Nevertheless, I was determined to race and end my tough season on a high - so I put the cold to the back of my mind and started to just focus on the race. The course is not my favourite, a flat square bike and an out and back run. The distances were a 750m wetsuit swim, 20km 4 lap bike and an out and back 5km run. My race was to start on Friday at 11:00am, even though I couldn’t wait to race, I felt sad it would be the last one of the season. As I was setting up transition an hour before the race the weather wasn’t looking good, it poured down with rain, but luckily just in time for the race the sun came out. I was ranked number 6 going into this race and had a good starting position on the pontoon, however this didn’t really matter as it was a straight swim for 350m. I started strong finding clear water but noticed groups were forming either side of me, I decided to go towards the left but noticed they were going quite wide and the group on the right were going straight so I changed and drafted of the lead swimmer. As we swam around the buoys, I was very happy as there was no contact with swimmers compared to most races this season. Heading back to transition I could see there was a line of 3 swimmers in front of me, this put me in a good position as I had plenty to draft off and I could see I was close to the front. Exiting the water I was in 6th place but with my strongest ever transition this year I exited transition in first and was swiftly on the bike. I was with a strong group of girls in a breakaway pack, with two GB girls, two Italians and myself. Kate, Lusia and I worked hard together trying to create a good lead if we wanted a chance to win, with strong runners coming behind we needed a sufficient gap. I felt strong on the bike trying to push the pace, but due to the rain and the corners being a bit sketchy we had to make sure we tried to stay as safe as possible. We pushed hard knowing the gap to the next pack was getting bigger as 60, turned in to 90 then to 2minutes, but we still had to keep pushing. Heading into T2 I wanted to be at the front so I could have a clean dismount and in T2 I got off smoothly and with another quick transition I went into the run in first place. As the run began Lusia and Kate came past me but I knew if I dug deep I could stick on the back of them. Lusia from Italy started to pull away on the first lap and I knew it would be a battle for second place against Kate, but also a battle for bronze as Bronwin was fast approaching behind. Kate and I battled it out till the last 300m when she started to pull away and sadly I just couldn’t keep up the pace. I finished in third place and I couldn’t off been happier finishing with an 18:19 5km time. I was in high spirits and also finished the race in 1.00.00 on the dot. My first ever individual medal at European and to share it with Kate was also amazing as I also got my first European Relay Medal with Kate back in 2012 and again in 2013. I would just like to say a big thank you to my parents for this year as they have helped with so much that has happened. My coaches, Graham Nash, Steve Lloyd, Jim Rothman and Graham Lock for their ongoing support and great training sessions. My sponsors Huub for their support with my wetsuit for this year improving my speedy transitions. The Bike Yard for their continuing support with training and generosity of equipment. I am already looking forward to working with my sponsors next year, including my new exciting partnership with Liv Giant where I will be representing them as an ambassador for their amazing products. 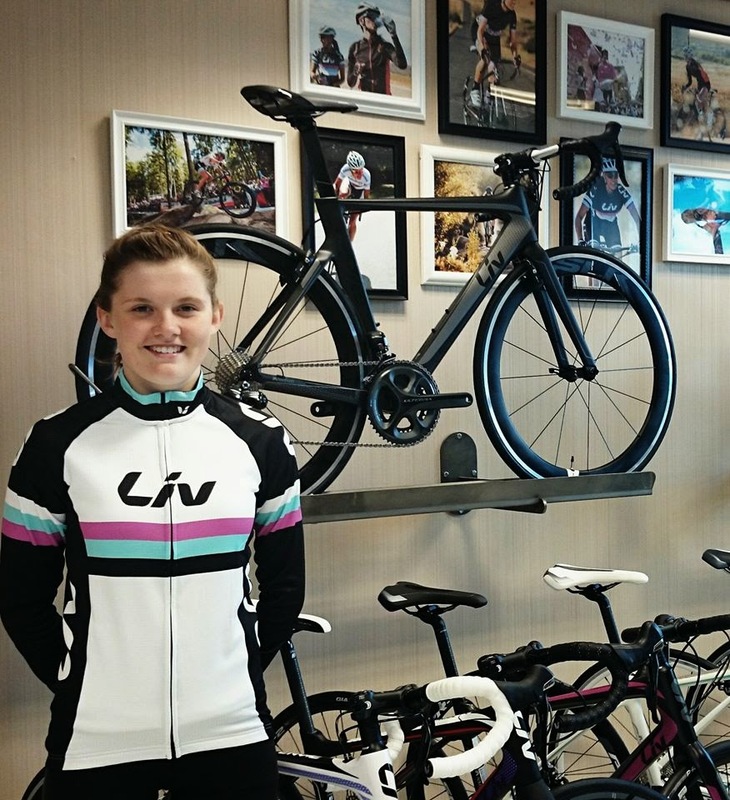 Visit my Giant Liv Ambassador profile here.